Services include Hypnosis, Emotional Freedom Technique (EFT), Neuro-Linguistic Programming (NLP) and Vision Boarding. All hypnosis is considered self-hypnosis, because you have to allow the process to happen. Over 95% of the population has the ability to be hypnotized. Hypnosis involves making a choice to accept or reject suggestions. No one can be hypnotized against their will. You are in complete control at all times. EFT takes this process and points it also at emotional issues. These, in turn, often provide benefits for performance and physical issues. Every time we learn something new, our brain is always wiring and re-wiring itself. I work with clients to help interrupt, habituated patterns that trigger unwanted behaviors like smoking, overeating, or obsessive compulsive behaviors. These simple yet effective techniques, help individuals to identify the trigger, interrupt the trigger and teaches the individual to replace, with new acceptable behavior and responses over time. 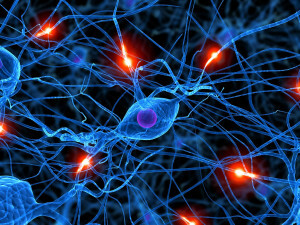 Neuro – relates to the mind and how it works. Linguistic – relates to the ways in which people express or communicate their experience of the world. Programming – relates to the fact that people behave according to personal “programs” which govern their ways of seeing the world. How does Hypnosis work with NLP? When we continue to do things the same way time and time again, we get the same results. What are you constantly telling yourself? This means we must do something in a new way in order to get different results. In my hypnotherapy practice, I sometimes utilize the combination of hypnosis and NLP to assists individuals to make the changes they desire. Hypnosis and NLP both work at the subconscious level, so they are a perfect blend of modalities to assist individuals in reaching their goals. NLP not only enables you to understand how you think, how you feel, how you make sense of everyday life, it also helps change the ways in which you think, feel, and act in everyday life. NLP incorporates our communication skills to evoke change. I work with individuals to change the way they perceive situations. When we are able to look at something from a different perspective we begin to see options and alternatives. What we think and say creates energy that manifests our reality. By connecting the conscious and subconscious minds, we can more easily effect and sustain changes. Your brain works constantly to achieve the statements you give your subconscious mind. Why not use positive statements, affirmation and images to help achieve your goals. It represents your dreams, your goals, and your ideal life. If you are ready to define your dreams, it’s time to illustrate them visually. Coaching, by definition has been used in language to describe the process used to transport people from where they are to where they want to be. Contact me for a free private consultation. If you have struggled like many, to lose unwanted pounds, only to fall short of your goal, or regain the weight back and more, it may be that limiting beliefs, or unconscious habits and behaviors are holding you back. For example, diets often create feelings of deprivation. Deprivation can sometimes trigger us into survival mode thinking. This can cause a rebound reaction of binge eating. Hypnosis is a wonderful tool for overcoming feelings of deprivation. It can help you end self-sabotage and unwanted behaviors and replace it with a healthier habit and increased motivation. Contact me for a free private consultation and start on a new path with weight loss. If you have told yourself “this is it”, and are now ready to quit smoking, Hypnosis can be the perfect tool to assist you with finally letting go of this habit. In the past, you may have tried other approaches to quit smoking, only to fail or find yourself rebounding and reaching for cigarettes in times of stress. Hypnosis is proven effective with changing habits and relieving stress. Studies show that smokers who used multiple hypnosis sessions to quit smoking, had significantly greater success rates of quitting and remaining smoke-free. Are you quitting for yourself? How much stress are you undergoing in life? Only you can decide when the time is right for you to quit. You are in full control. Contact me for a free private consultation and start on a new path as a non-smoker. Anxiety and its related conditions, such as panic, post traumatic stress and phobias, are the most common psychological complaints reported by clients. We live in extremely stressful times and stress plays a key role in the development of fear, anxiety, obsessive-compulsive behavior and physical illnesses. Anxiety arises from your thoughts. It has been proven that anxiety does not always arise directly from dangerous or painful situations. “It is our thoughts of potential or past danger or pain”, not the actual events, that creates the symptoms of anxiety. Stress is unavoidable. However, suffering its effects is optional. Hypnosis is a powerful tool for managing stress and stopping the loop of escalating thoughts that cause anxiety and phobias. It is also extremely effective in helping to re-program the subconscious reactions. You learn how to breath deeply and fully, which slows the heart rate. Allowing you to feel stronger and more in control of your situation. Feeling overwhelmed? Feeling you have tried everything? Why not try Hypnosis and tap into the power of your own mind to create lasting change. Contact me for a free private consultation and start on a new path with stress and anxiety management. When you decrease the self-sabotaging behavior, you automatically increase the potential for success. There is no doubt life has its ups and downs, and it’s a lot easier to blame others and our circumstances for why we haven’t achieved our stated goals. We have all been there. Then, Life Coaching maybe just the right answer for you! As a Life Coach, Robin combines modalities such as NLP, Vision Boarding, and Hypnosis to help her clients move forward. Contact me for a free private consultation and start on a new path with new goals. Please allow 2 hours for your first appointment.